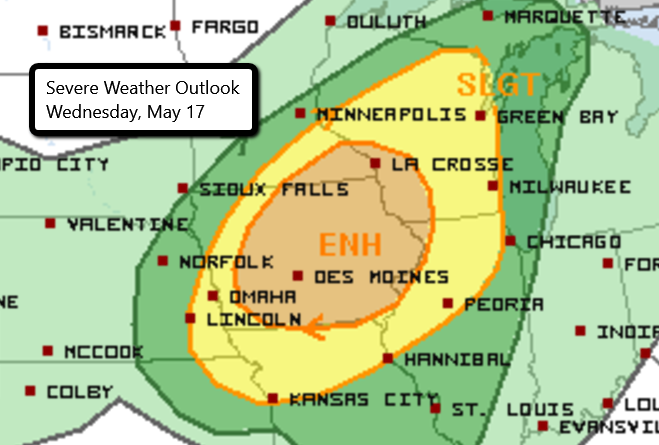 The threat for severe weather in parts of the central U.S. continues today with an Enhanced risk in place for parts of Iowa, southeastern Minnesota, southwestern Wisconsin, and extreme northwest Illinois. This includes Des Moines, Cedar Rapids, Davenport and Waterloo in Iowa as well as Rochester in Minnesota. 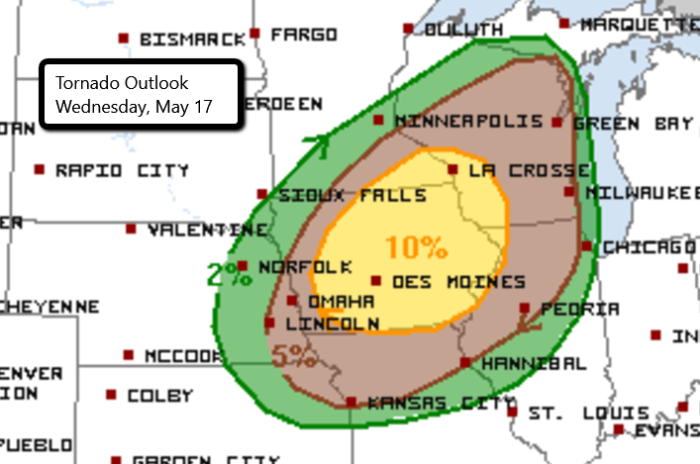 Any storms that develop this afternoon and evening in these areas could produce large hail, damaging wind gusts, and even an isolated tornado. Follow us on Twitter for updates as storms develop. Watch chaser live streams here! More severe weather is ahead for parts of the Plains tomorrow. We’ll post more details on that tomorrow morning.